In 1833, Antoine LeCoultre (1803–1881) founded a small workshop in Le Sentier, Switzerland, for the manufacture of high-quality timepieces. In 1844, he measured the micrometre (μm) for the first time and created the world's most precise measuring instrument, the millionometer, capable of measuring to thousandths of a millimetre.In 1847, LeCoultre developed a system that eliminated the need for keys to rewind and set watches, using a push-piece that activated a lever to change from one function to another.In 1851, he was awarded a gold medal for his work on timepiece precision and mechanization at the first Universal Exhibition in London. In 1903, Parisian Edmond Jaeger challenged Jacques-David LeCoultre, grandson of Antoine, to manufacture ultra-thin calibers of his design.Out of their relationship emerged a collection of ultra-thin pocket watches, followed by others that eventually, in 1937, officially culminated in the Jaeger-LeCoultre brand.In 1907, French jeweler Cartier, a client of Jaeger's, signed a contract with the Parisian watchmaker under which all Jaeger's movement designs for a period of 15 years would be exclusive to Cartier. 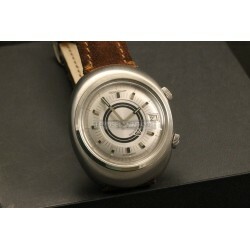 The movements were produced by LeCoultre. Also in 1907, the LeCoultre Caliber 145 set the record for the thinnest movement at 1.38 mm.JLC began manufacturing the Atmos clock in 1936 after purchasing the patent from Jean-Leon Reutter, who invented it in 1928. 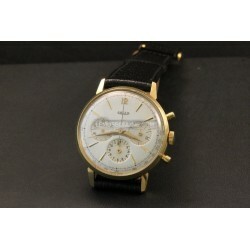 The company was officially renamed Jaeger-LeCoultre in 1937. 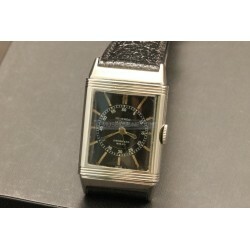 In 1941, Jaeger-LeCoultre earned the highest distinction from the Neuchâtel Observatory for its tourbillon Caliber 170. In 1982, the Jaeger-LeCoultre museum was established in Le Sentier. In 2009, JLC produced the world's most complicated wristwatch, the Hybris Mechanica à Grande Sonnerie with 26 complications.NB WE REMIND YOU THAT A LOT OF OUR WATCHES ARE SOLD BY US FOR OUR CUSTOMERS...THIS MEANS THAT IF YOU WANT TO COME IN OUR SHOP TO SEE ONE OF THEM YOU HAVE TO CONTACT US TWO OR THREE DAYS BEFORE IN ORDER TO LET US TO HAVE THE TIME TO BRING THERE THE WATCH! Jaeger Le Coultre There are 13 products. Steel case ( diameter 38mm ) Anonimous but wonderful steel brecelet Automatic movement caliber 1906 Wonderful and rare grey dial! 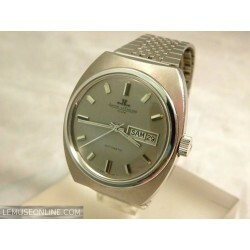 With day-date Sapphire glass Reference E300305 Made in the '70s Wonderful conditions! 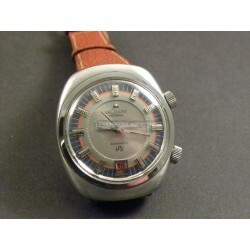 Steel case ( diameter 37,5mm ) Automatic movement caliber 916 Brown leather strap Rare dial color Rare date at 6 o'clock With alarm Plexi glass Reference 9508 Made in the '70s Very nice conditions! 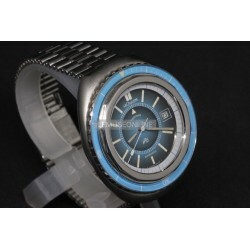 Steel case ( diameter 37mm ) Automatic movement caliber K883 Black leather strap Black dial With date Inside rotating bezel Plexi glass Reference 558 Made in the '70s Very rare model Very nice conditions! 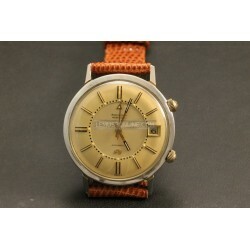 Steel/Gold case ( diameter 37mm ) Automatic movement Brown lizzard strap Beautiful original strap With date With alarm Plexi glass Made in the '60s Very nice conditions! Steel case ( size 23mmX38mm ) Hand winding movement Black leather strap Wonderful and rare original dial customized for 'Eberhard Milan' Plexi glass Rare model Made in the '40s Very nice conditions! 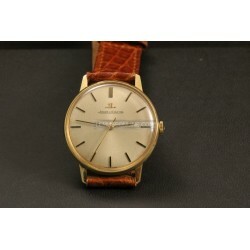 18kt Yellow gold case ( diameter 34mm ) Hand winding movement caliber 885 Brown crocodile strap Champagne dial Plexi glass Reference 20007 Made in the 1975 Wonderful conditions! With its original box and papers!!! 18kt yellow gold case ( diameter 35mm ) Hand winding movement caliber 285 Brown leather strap Wonderful and rare original black dial! 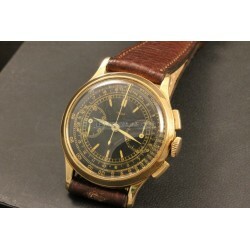 With chronograph Plexi glass Reference 5188 Made in the '50s Rare model Very nice conditions! 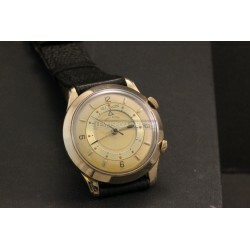 18kt yellow gold case ( diameter 35,5mm ) Hand winding movement caliber 839H Black leather strap Argentee dial With chronograph Plexi glass Made in the '50s Rare model Very nice conditions! 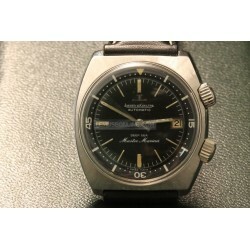 Steel case ( diameter 38mm ) Automatic movement caliber K825 With original steel bracelet With brown leather strap With original steel buckle With alarm Argentee dial Reference E861 Made in the '70s Rare model Almost in NOS conditions with its original box! 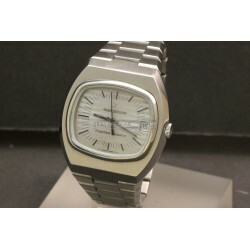 Steel case ( size 42mmX42mm ) Original steel bracelet Quartz movement caliber 352 Argentee dial With date Sapphire glass Reference 23302-42 Made in the '70s Very nice conditions!